I stole this from Sportsocracy.com. but that is what she said. 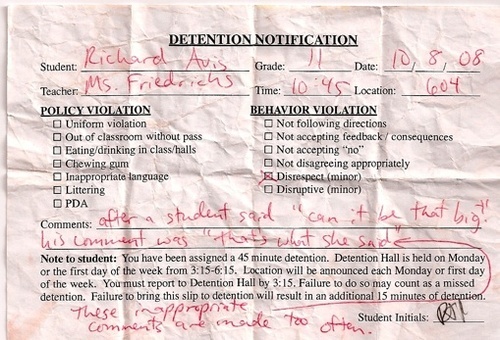 I think that if a student's comment makes someone laugh (anyone) that student should be excused from detention. Maybe I'm demented, and even though I've heard this a hundred times before, it still made me laugh.